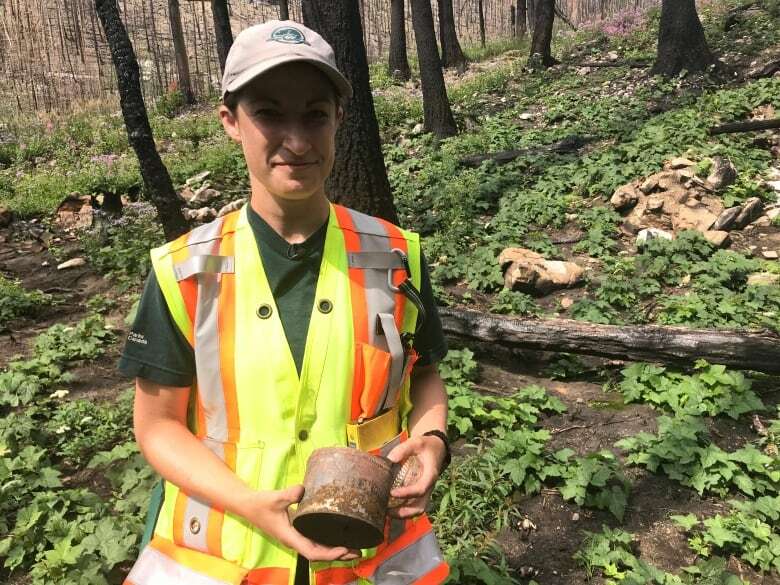 A fire damaged Alberta's iconic Waterton National Park in 2017, but also cleared so much vegetation that archeologists have been able learn more about what life was like for the area's Blackfoot people there some 300 years ago and longer. 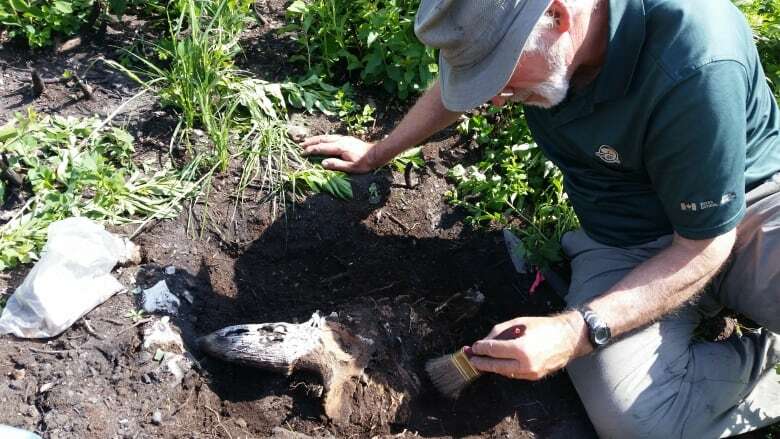 Archeologist Bill Perry hops out of a Parks Canada pickup truck and lifts one of the gates keeping the public out of much of Waterton Lakes National Park. 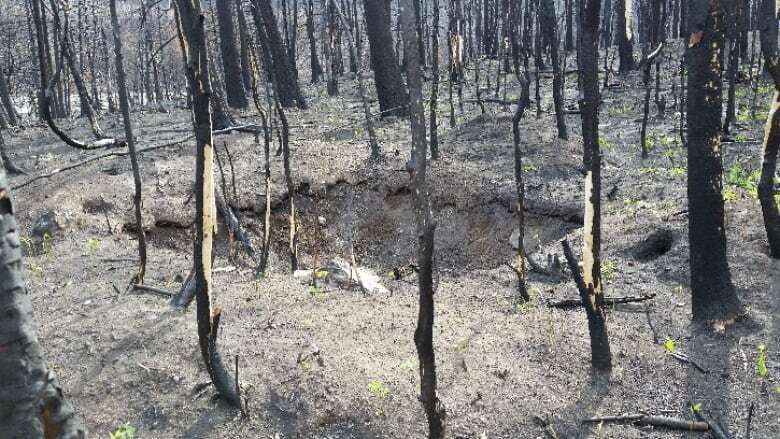 Since a wildfire swept through this iconic mountain park in southern Alberta last September, it's just too dangerous for tourists to go tromping around on most of the trails. Thousands upon thousands of blackened, dead trees pepper the mountainous landscape. The damage is clear and devastating. But CBC News was given exclusive access to see one of the positive side effects of a fire that burns hot and long. "It's a once in a lifetime opportunity," Perry marvels. "What the fire has done for us is it's eliminated all that vegetation on top and, wow, can we see stuff." Suddenly, the size and scope of more than 250 Blackfoot camps are visible. 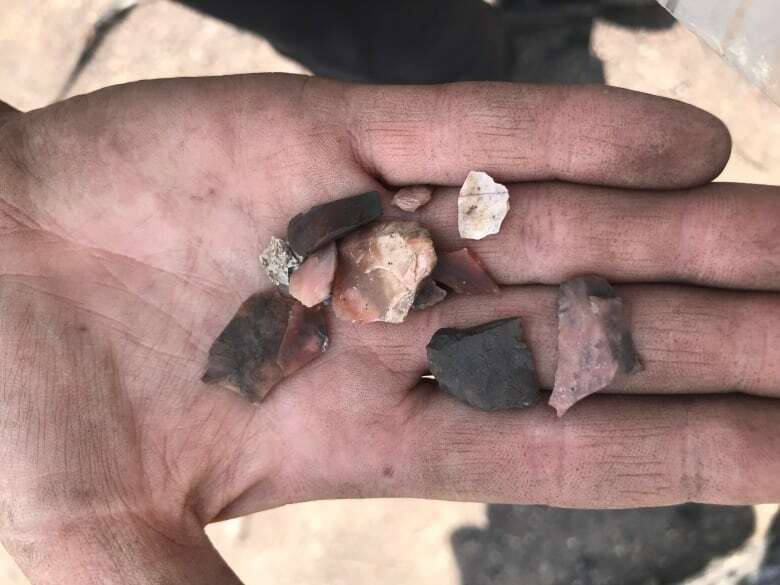 Archeologists knew most of them were here, but have never had such clear and direct access to what the Blackfoot people left behind at these camps within the last 300 years. "We're finding so much that we're starting to rewrite what we thought we knew about Waterton history and Indigenous camp history," Perry says. At a hearth of one the sites, Perry's team of archeologists make a grid and start scraping with trowels, digging up dirt and putting it into plastic buckets. When they pour those buckets of dirt through wire screens, what looks like random pieces of rock to an untrained eye are carefully bagged. It turns out they're debitage, the remnants left from making stone tools. And they are just the beginning of what this team has found since they started working sites in Waterton. 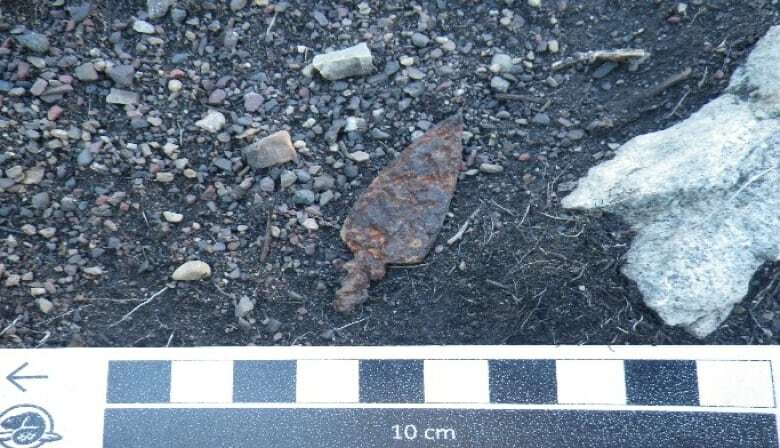 There are a host of arrowheads and projectile points, undoubtedly used to hunt bison that used to roam free and were a staple of the nomadic Blackfoot people. There is skeletal evidence of bison right in the camps. 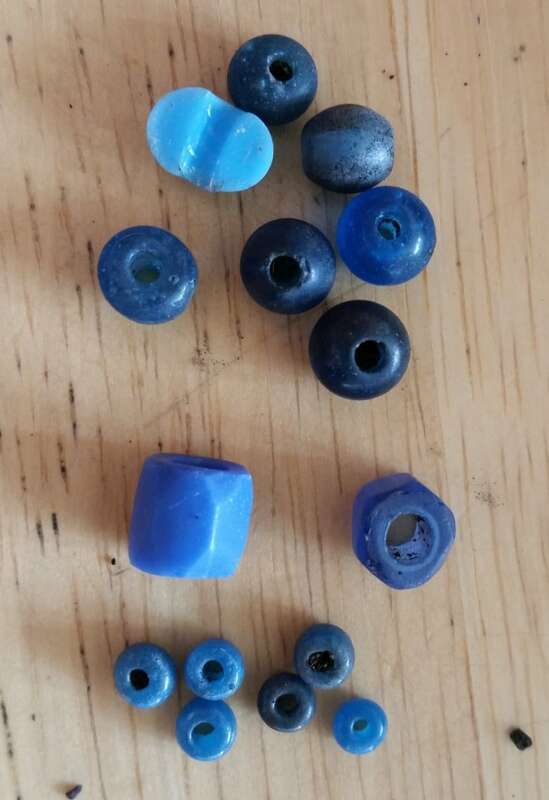 They've also found artifacts, like glass trading beads from the first contact period between Blackfoot and European fur traders, which would prove devastating to the former's health and prosperity. 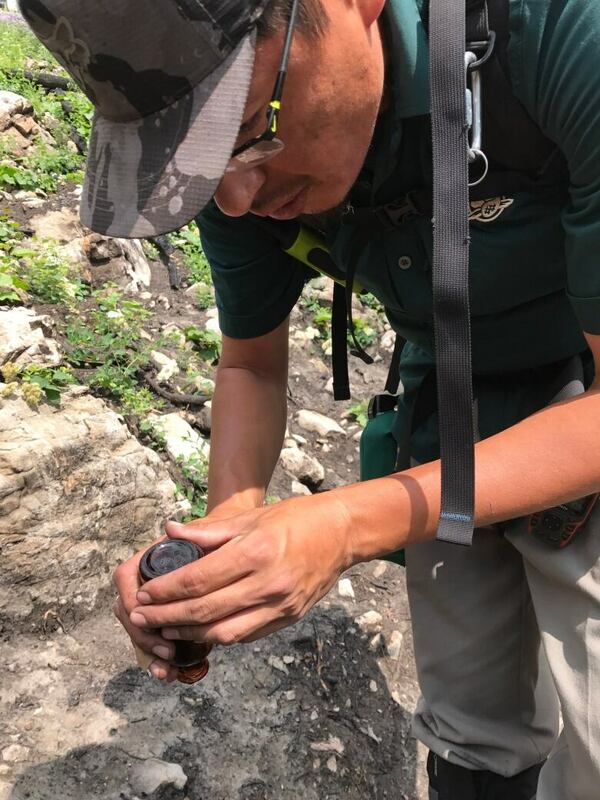 The fire also revealed something much older — archeologists have the best view they've ever had of trails that were used by the Blackfoot people up to 7,000 years ago. Archeologist Kevin Black Plume steps over charred trees that have fallen on the ground. Every step is not just a highlight in his professional career, it is part of a deeply personal journey. "I guess to walk where your ancestors walked has been very enlightening. I'm very blessed to do it." Black Plume is a member of the Kainai Nation, Blackfoot people who ended up on the Blood reserve, about 60 kilometres from Waterton. To honour his ancestors and what the excavation sites have provided, Black Plume makes a tobacco offering at each one. He digs a small hole in the ground and buries loose tobacco in it in a silent, spiritual ceremony. 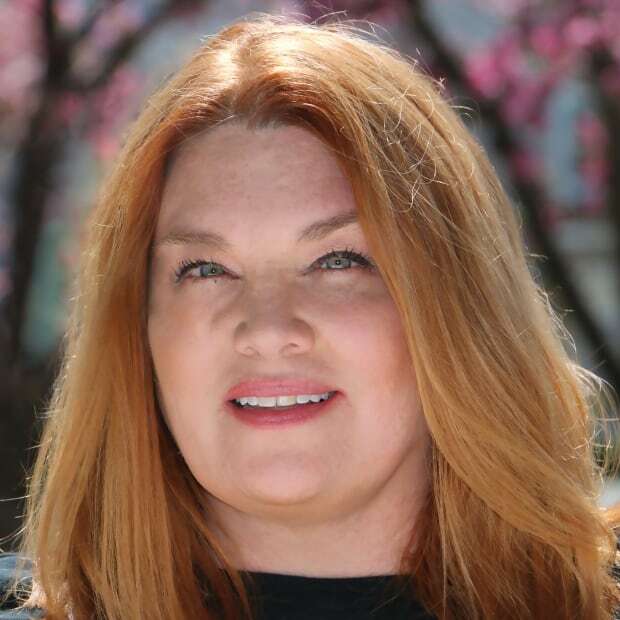 "I feel very strongly connected to most of the pre-historic sites we're seeing today." And Black Plume is excited about the idea of bringing a fuller picture of the Indigenous history of Waterton Park to all of Canada. "The coolest thing I've found is projectile points. 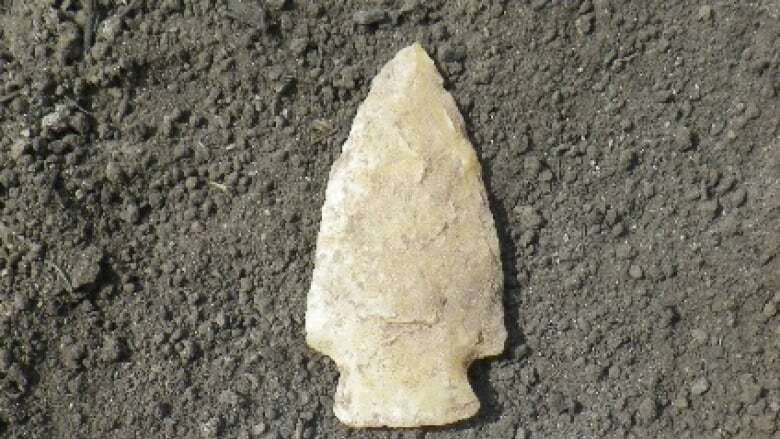 The first projectile point I found was at this site," Black Plume recalls, "I was just yelling and screaming. To see what they hunted bison with, it's just very uplifting." There have also been some non-Indigenous finds as well, including a Depression-era work camp. In the 1930s when jobs were next to impossible to find, the federal government hired men to build a major roadway through the park. Aside from a rough location, very little was known about these camps — until the fire cleared the vegetation, providing a picture of what life was like in them. Archeologist Rachel Lindemann points out the rocks that formed the foundation of a structure in the camp, but the story takes on life when she picks up a rusty tin tobacco can. "We're finding food stores, we're finding meat tins as well, things like evaporated and condensed milk was very popular and coffee sometimes would be shipped in tins as well," Lindemann explains. 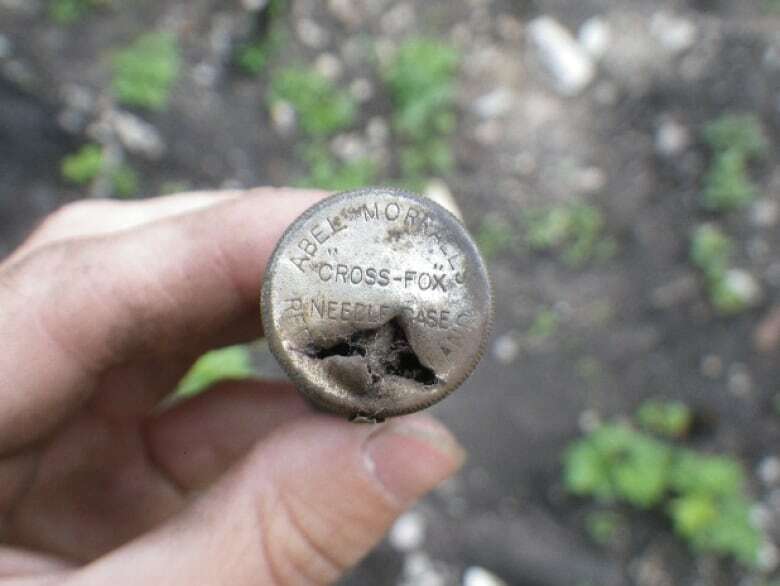 Other finds including a sewing needle case, a Boy Scout pin and cold cream jar expand the picture to indicate women and possibly even children were part of camp life. It's not just the artifacts that are changing the park's history, Lindemann says,. "We've mapped all of these outlines three dimensionally, so they can be plotted onto maps and we'll verify that with archival and aerial photos as well. And then kind of build up and create the story for this site." That more precise story will become part of the historical record. There is a narrowing window of time for all of the work they'd like to complete this season. The soil, nutrient rich after the fire, is perfect for vegetation to regrow and obscure these sites once again. "Here we are a little bit more than halfway through our field season and we're running out of time." Perry says. "The vegetation regrowth is nipping at our heels as we're recording things, but wow, what a ride." The team is awaiting word if they will be funded for next year. If so, the plan is to dig even deeper, going back further in time.